GPS : N48°35'50.4" E 2°11'54.2"
Exit for Limours / Dourdan and follow D97 or 2.7 km hen, turn left to D116 towards Bruyères-le-Châtel. 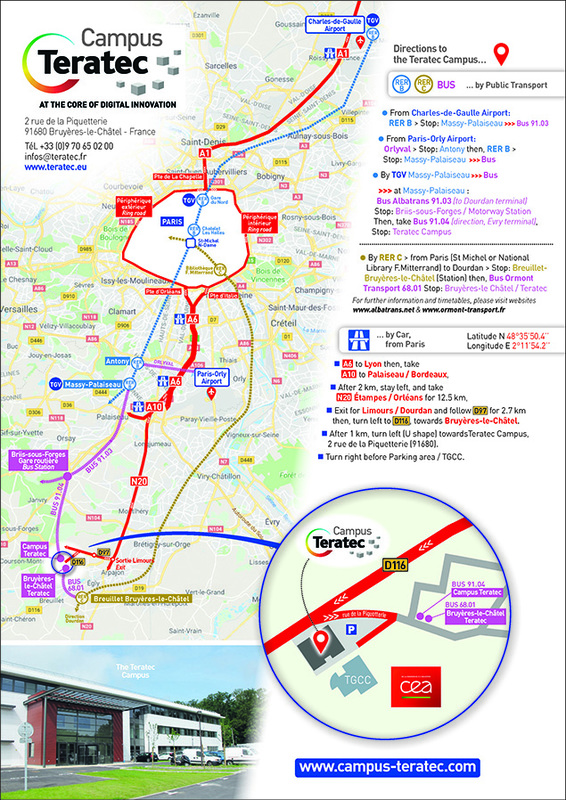 After 1 km, turn left (U shape) towards Teratec Campus, 2 rue de la Piquetterie (91680).. Turn right before Parking area / TGCC..